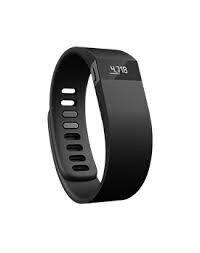 When news came out earlier this month that the Fitbit Force would be getting caller ID sometime soon (next month? ), I got really excited about the future of this little gadget. Caller ID would be pretty great: I can imagine a bunch of times where my phone is in my pocket while I’m in a meeting, it buzzes, and I quickly glance at my watch without anyone noticing to see whether I need to pick it up. But then I started to think bigger – what would be really helpful? What if the Fitbit app could hook into my calendar and remind me a few minutes before it’s time to go to a meeting with a short buzz? Then it scrolls the subject of the meeting and the location (e.g. Conf Room D5). As a project manager who attends about 5-10 meetings a day, this would be awesome. I’d never miss another meeting by accident and I wouldn’t have to constantly pull out my laptop or open an app on my phone to figure out what room my next meeting is in. The only question is whether Fitbit will enable apps to tap into these “notifications”. Fingers crossed! Finally, I want to mention an awesome app that my (formerly non-developer) co-worker Jeff Steinke created for the Pebble watch: the Pebble Golf App. I don’t have a Pebble watch and I don’t really play golf, but this seems really useful for tracking your individual strokes per hole while also keeping a running total. Go check it out!